This is a set of 6x6 hotpads. They are made with 3 inside layers making them a total of 5 layers. 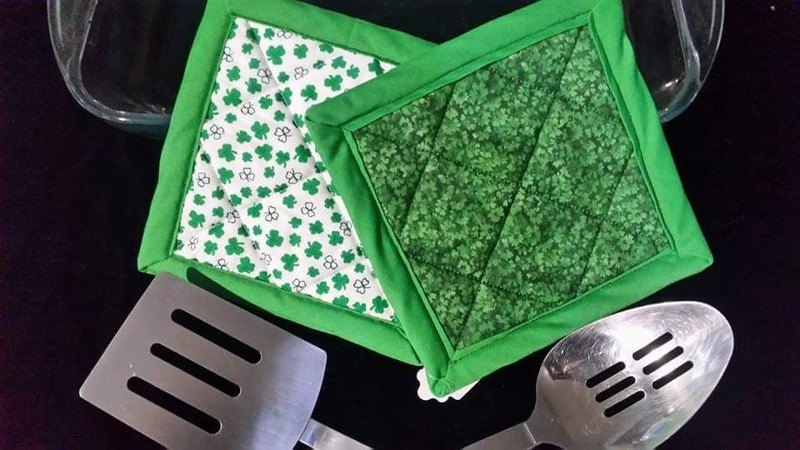 One side has a dark green background with clovers all over and the other side has a white background with green clovers on it. They are edged in a pretty green.